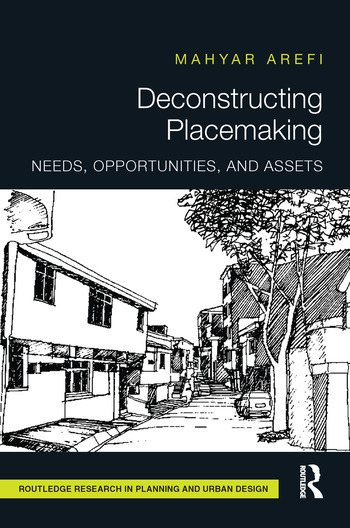 A new taxonomy of placemaking is needed; concerns have been expressed about the professionalization of placemaking through the proliferation of standards, zoning codes, and restrictive covenants. "Place matters" has become a mantra in many disciplines - architecture, urban planning and urban design, geography, and sociology to name a few. While conceptualized narrowly by individual disciplines, a holistic framework of placemaking is sorely missing. Mahyar Arefi seeks to fill this gap by exploring these questions: how are places physically created, socially mobilized, and politically contested? This book explores three competing approaches to placemaking: need-based, opportunity-based, and asset-based. Using a case study approach, the book delves into each paradigm and its stages of physical formation, social mobilization, and political contestation. Mahyar Arefi is an Associate Professor at the School of Planning, University of Cincinnati, USA, and holds a PhD in planning from the University of Southern California, USA. He has been the recipient of many awards, including the US Department of Housing and Urban Development doctoral dissertation grant, Goody Clancy's Faculty Fellowship, and a Fulbright Fellowship to Istanbul, Turkey. He has published extensively in the areas of place and placemaking, community and international development, and urbanism.